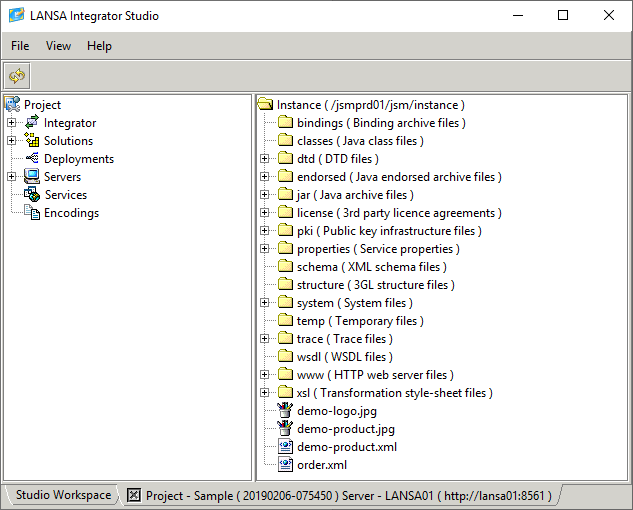 Studio allows you to view the contents of the instance directory of a JSM server. Using Studio, you can transfer the JSM instance files to and from the local machine. 1. Access the JSM server using a project. 2. Access the JSM server directly.